"Best" is such a subjective word. We all have our own opinions based on personal experiences and desires. So we're going to avoid calling any particular site the "best UK online casino." Instead, our goal is to help you determine the best UK online casinos based on your personal preferences. Throughout this site you'll find online casino reviews containing tables to help you compare UK online casinos in a variety of ways, but we think the most important one is probably which games you typically enjoy playing online. Why do we think that? Because game selection can be a complete deal breaker when it comes to picking a site. 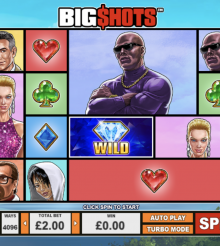 As an example, if you want to play games like Sic Bo or Pai Gow, there are many UK online casinos that don't have those games at all, so you'd want to make sure to choose one that does.